There is a perception that most insurers try to outwit and outsmart their clients during the damage claim process. At the time of settlement from serious property damage claims like fire, a broken water pipe, or heavy storms, carries will attempt to pay out as little as possible. Most would agree that there is at least some degree of truth in this perception. Arriving at an amount objectively can be very difficult. Especially when there is no immediate precedent or a basis for arriving at the figures. Relative inexperience, lack of time, fear of having to settle the case in court in case the insurer refuses to budge and prolonging the whole process, among other considerations makes victims accept whatever little is offered as a one-time payment towards the damage claim. Over and above, insurers and claims adjusters will often attempt unsuspecting clients to sign documents that make them willingly accept that the insurer is not liable to pay an amount beyond what it is offering for the damage claim settlement. They may even try to establish that the amount to settle the claim is below the deductible of your policy. Deductible is an amount that you accept to bear at the face of a loss. How Do You Fight This Low-Ball Damage Claim Process? Do You Need A Public Adjuster? Public Adjusters are professionals who interpret the terms and legal clauses of your insurance policy. They are licensed to deal with the insurance company adjuster on your behalf and make every effort to get you a fair damage claim settlement. 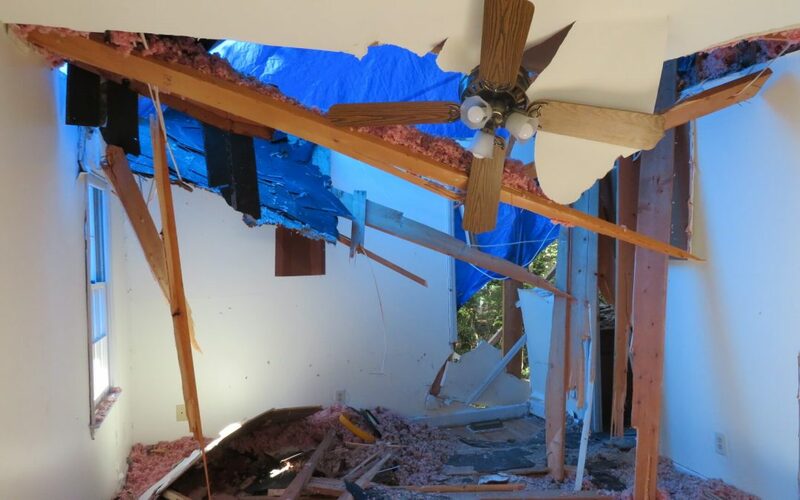 When insurers attempt to pay partially for claim damage and refuse to restore your house to pre-damage condition, a public adjuster can step in and get the claim amount you deserve. Remember, you have every right to demand that your house be restored to the pre-damage condition, provided your policy covers for it. Typically, a public adjuster may be compensated 10-30% of the settlement amount. They position themselves as professionals who look after the interests of the policyholder rather than the insurance company. Since their own interests are involved by being compensated on a contingency basis, like an attorney, they always try to get the policyholder the maximum amount permissible under the law and the individual’s terms of the policy. If you are claim difficulties you should consider speaking with a Public Adjuster. Every industry has scrupulous individuals. Conduct thorough research and probe into their website. Ask for references, research the local DOI for complaints and ask to see a copy of their valid license. A public adjuster is the best way to obtain the amount you truly deserve for your damage claim. So, why would you waste time and potentially forfeit thousands of dollars to your insurer? Your Insurance Company Has An Adjuster, You Should Too!